The Glass House Mountains formed my first impressions of Australia. In that altered state brought on by a long haul travel and the haze of an early fire season, the mountains protruding from the surrounding coastal plain seemed to float just above the horizon. These eleven volcanic plugs, each one the core of an eroded volcanic intrusion, have inspired artists and enriched region’s soil. Captain Cook gave then their name in 1770. The shapes of the mountains reminded him of the glass furnaces of this native Yorkshire England. Not the first or the last time that outsiders would try and impose their images and ideas on Australia distinctive landscapes to make them more familiar. 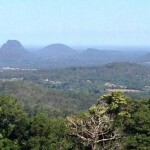 The peaks are designated as the Glass House Mountains National Park and are managed by the state of Queensland. 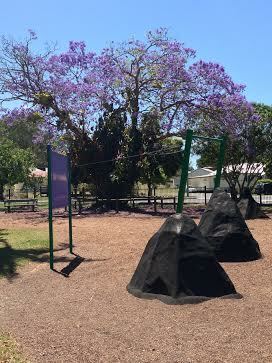 They are also listed in the Queensland and National Heritage Register as a Landscape of National Significance. But while the boundaries of both these designations focus on the volcanic features, what is striking about the region is the overall landscape of high points, plantation forestry, and agriculture fields. Not just the peaks, it is the land between that has a story to tell. In the United States, it might be considered a National Heritage Area – a place where natural, historic, and scenic resources combine to make a cohesive whole. The regions rich volcanic soil allow specialized agriculture to thrive. Once the area grew a great deal of tobacco until it was banned as a crop by the Australian government. Today a few abandoned tobacco-drying sheds dot the landscape. 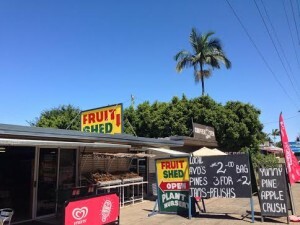 However, it is kiwi fruit, avocados, pineapples that now fill the fields and the local fruit stands. The feeling is more like Hawaii than the Mediterranean climate in nearby Brisbane. The original forested slopes of the mountains have been cleared and now replaced by pasture for stock grazing, or by uniform stands of nonnative fast growing pines. What were once rain forests now read as pastoral landscapes or tree plantations. There is also a deeper underlying significance to the Glass House Mountains. The region was an important meeting place for Aboriginal people, a place of spiritual significance. The ripening of the large cones of the native Bunya Tree (Araucaria Bidwillii) was a time for gathering and ceremonies. Early missionaries reported thousands of people attending these events. However, over time settlers demands to cut timber and clear the land led to government decrees forbidding the festivals, the removal of Aboriginal people, and the timbering of many of the Bunya groves. 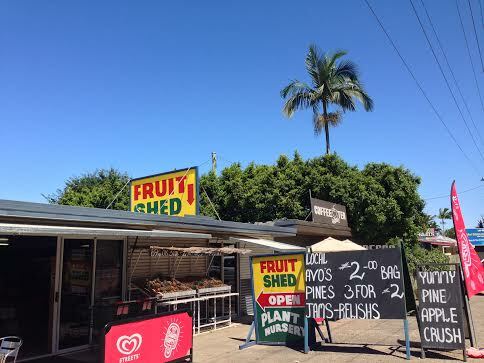 Today Bunya nuts, the kernels of the large Bunya cones, are seeing a revival as a bush food – authentic to Australia. For a good overview of the area’s complex ecology and history, I recommend the Glass House Mountain Visitor and Interpretive Centre. Next door is a children’s play ground that features climbing rocks in the shape of the Glass House Mountain, which is a creative way to reinforce a sense of place. 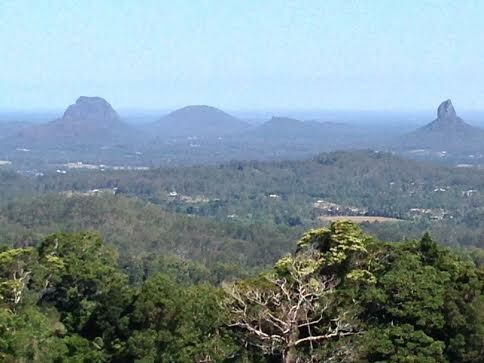 Australia is a mosaic of living landscapes, but I will never forget my first view of the Glass House Mountains.